Not to be confused with aesthetics or analgesic. Leaves of the coca plant (Erythroxylum novogranatense var. Novogranatense), from which cocaine , the only naturally occurring local anesthetic, is derived. An anesthetic (American English) or anaesthetic (British English; see spelling differences) is a drug used to induce anesthesia – in other words, to result in a temporary loss of sensation or awareness. They may be divided into two broad classes: general anesthetics, which cause a reversible loss of consciousness, and local anesthetics, which cause a reversible loss of sensation for a limited region of the body without necessarily affecting consciousness. A wide variety of drugs are used in modern anesthetic practice. Many are rarely used outside anesthesiology, but others are used commonly in various fields of healthcare. Combinations of anesthetics are sometimes used for their synergistic and additive therapeutic effects. Adverse effects, however, may also be increased. Anesthetics are distinct from analgesics, which block only sensation of painful stimuli. Local anesthetic agents prevent transmission of nerve impulses without causing unconsciousness. They act by reversibly binding to fast sodium channels from within nerve fibers, thereby preventing sodium from entering the fibres, stabilising the cell membrane and preventing action potential propagation. Each of the local anesthetics have the suffix “-caine” in their names. Local anesthetics can be either ester– or amide-based. Ester local anesthetics (such as procaine, amethocaine, cocaine, benzocaine, tetracaine) are generally unstable in solution and fast-acting, are rapidly metabolised by cholinesterases in the blood plasma and liver, and more commonly induce allergic reactions. Amide local anesthetics (such lidocaine, prilocaine, bupivicaine, levobupivacaine, ropivacaine, mepivacaine, dibucaine and etidocaine) are generally heat-stable, with a long shelf life (around two years). Amides have a slower onset and longer half-life than ester anesthetics, and are usually racemic mixtures, with the exception of levobupivacaine (which is S(-) -bupivacaine) and ropivacaine (S(-)-ropivacaine). Amides are generally used within regional and epidural or spinal techniques, due to their longer duration of action, which provides adequate analgesia for surgery, labor, and symptomatic relief. Pethidine also has local anesthetic properties, in addition to its opioid effects. Volatile agents are specially formulated organic liquids that evaporate readily into vapors, and are given by inhalation for induction or maintenance of general anesthesia. Nitrous oxide and xenon are gases at room temperature rather than liquids, so they are not considered volatile agents. The ideal anesthetic vapor or gas should be non-flammable, non-explosive, and lipid-soluble. It should possess low blood gas solubility, have no end-organ (heart, liver, kidney) toxicity or side-effects, should not be metabolized, and should not be an irritant to the respiratory pathways of the patient. No anaesthetic agent currently in use meets all these requirements, nor can any anaesthetic agent be considered safe. There are inherent risks and drug interactions that are specific to each and every patient. The agents in widespread current use are isoflurane, desflurane, sevoflurane, and nitrous oxide. Nitrous oxide is a common adjuvant gas, making it one of the most long-lived drugs still in current use. 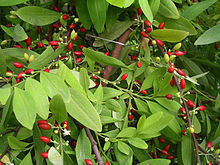 Because of its low potency, it cannot produce anesthesia on its own but is frequently combined with other agents. Halothane, an agent introduced in the 1950s, has been almost completely replaced in modern anesthesia practice by newer agents because of its shortcomings. Partly because of its side effects, enflurane never gained widespread popularity. The two barbiturates mentioned above, thiopental and methohexital, are ultra-short-acting, and are used to induce and maintain anesthesia. However, though they produce unconsciousness, they provide no analgesia (pain relief) and must be used with other agents. Benzodiazepines can be used for sedation before or after surgery and can be used to induce and maintain general anesthesia. When benzodiazepines are used to induce general anesthesia, midazolam is preferred. Benzodiazepines are also used for sedation during procedures that do not require general anesthesia. Like barbiturates, benzodiazepines have no pain-relieving properties. Propofol is one of the most commonly used intravenous drugs employed to induce and maintain general anesthesia. It can also be used for sedation during procedures or in the ICU. Like the other agents mentioned above, it renders patients unconscious without producing pain relief. Because of its favorable physiological effects, “etomidate has been primarily used in sick patients”. Ketamine is infrequently used in anesthesia because of the unpleasant experiences that sometimes occur on emergence from anesthesia, which include “vivid dreaming, extracorporeal experiences, and illusions.” However, like etomidate it is frequently used in emergency settings and with sick patients because it produces fewer adverse physiological effects. Unlike the intravenous anesthetic drugs previously mentioned, ketamine produces profound pain relief, even in doses lower than those that induce general anesthesia. Also unlike the other anesthetic agents in this section, patients who receive ketamine alone appear to be in a cataleptic state, unlike other states of anesthesia that resemble normal sleep. Ketamine-anesthetized patients have profound analgesia but keep their eyes open and maintain many reflexes. Sufentanil, which is not available in Australia. Diamorphine, also known as heroin, not available for use as an analgesic in any country but the UK. Pethidine, also called meperidine in North America. Oxycodone, not available intravenously in U.S.
Another potentially disturbing complication where neuromuscular blockade is employed is ‘anesthesia awareness‘. In this situation, patients paralyzed may awaken during their anesthesia, due to an inappropriate decrease in the level of drugs providing sedation or pain relief. If this fact is missed by the anesthesia provider, the patient may be aware of their surroundings, but be incapable of moving or communicating that fact. Neurological monitors are increasingly available that may help decrease the incidence of awareness. Most of these monitors use proprietary algorithms monitoring brain activity via evoked potentials. Despite the widespread marketing of these devices many case reports exist in which awareness under anesthesia has occurred despite apparently adequate anesthesia as measured by the neurologic monitor. ^ Hendrickx, JF. ; Eger, EI. ; Sonner, JM. ; Shafer, SL. (August 2008). “Is synergy the rule? A review of anesthetic interactions producing hypnosis and immobility”. Anesth Analg. 107 (2): 494–506. doi:10.1213/ane.0b013e31817b859e. PMID 18633028. ^ Latta, KS; Ginsberg, B; Barkin, RL (2001). “Meperidine: a critical review”. American Journal of Therapeutics. 9 (1): 53–68. doi:10.1097/00045391-200201000-00010. PMID 11782820. ^ Krøigaard, M.; Garvey, LH. ; Menné, T.; Husum, B. (October 2005). “Allergic reactions in anaesthesia: are suspected causes confirmed on subsequent testing?”. Br J Anaesth. 95 (4): 468–71. doi:10.1093/bja/aei198. PMID 16100238. ^ a b Townsend, Courtney (2004). Sabiston Textbook of Surgery. Philadelphia: Saunders. Chapter 17 – Anesthesiology Principles, Pain Management, and Conscious Sedation. ISBN 0-7216-5368-5. ^ a b c d e f g h i j k l m n Miller, Ronald (2005). Miller’s Anesthesia. New York: Elsevier/Churchill Livingstone. ISBN 0-443-06656-6. ^ Garfield, JM; Garfield, FB; Stone, JG; Hopkins, D; Johns, LA (1972). “: A comparison of psychologic responses to ketamine and thiopental-nitrous oxide-halothane anesthesia”. Anesthesiology. 36 (4): 329–338. doi:10.1097/00000542-197204000-00006. PMID 5020642. ^ Mellon, RD. ; Simone, AF. ; Rappaport, BA. (March 2007). “Use of anesthetic agents in neonates and young children”. Anesth Analg. 104 (3): 509–20. doi:10.1213/01.ane.0000255729.96438.b0. PMID 17312200. Archived from the original on 9 March 2009. ^ Wang, C.; Slikker, W. (June 2008). “Strategies and experimental models for evaluating anesthetics: effects on the developing nervous system”. Anesth Analg. 106 (6): 1643–58. doi:10.1213/ane.ob013e3181732c01. PMID 18499593. Archived from the original on 2 April 2009. ^ Istaphanous, GK. ; Loepke, AW. (June 2009). “General anesthetics and the developing brain”. Current Opinion in Anesthesiology. 22 (3): 368–73. doi:10.1097/ACO.0b013e3283294c9e. PMID 19434780. ^ Philbin, DM; Rosow, CE; Schneider, RC; Koski, G; D’ambra, MN (1990). “: Fentanyl and sufentanil anesthesia revisited: how much is enough?”. Anesthesiology. 73 (1): 5–11. doi:10.1097/00000542-199007000-00002. PMID 2141773. ^ Streisand JB, Bailey PL, LeMaire L, Ashburn MA, Tarver SD, Varvel J, Stanley TH (April 1993). “Fentanyl-induced rigidity and unconsciousness in human volunteers. Incidence, duration, and plasma concentrations”. Anesthesiology. 78 (4): 629–34. doi:10.1097/00000542-199304000-00003. PMID 8466061.